Sofia lost her mother eight months ago, and her friends were 100% there for her. Now it's a new year and they're ready for Sofia to move on. Problem is, Sofia can't bounce back, can't recharge like a cellphone. She decides to write Dear Kate, an advice columnist for Fifteen Magazine, and is surprised to receive a fast reply. Soon the two are exchanging emails, and Sofia opens up and spills all, including a few worries that are totally embarrassing. Turns out even advice columnists don't have all the answers, and one day Sofia learns a secret that flips her world upside down. 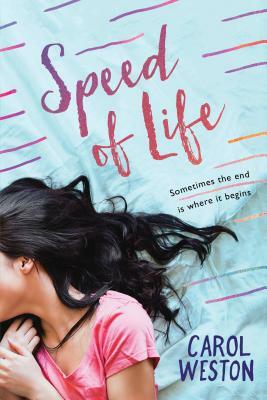 Speed of Life is the heartbreaking, heartwarming story of a girl who thinks her life is over when really it's just beginning. It's a novel about love, family, grief, and growing up.